K: How many M&M's can I put on them? Me: I put 2. But you can put as many as you want. K: Yay. I'll cover all the chocolate with them! They're going to be so yummy! 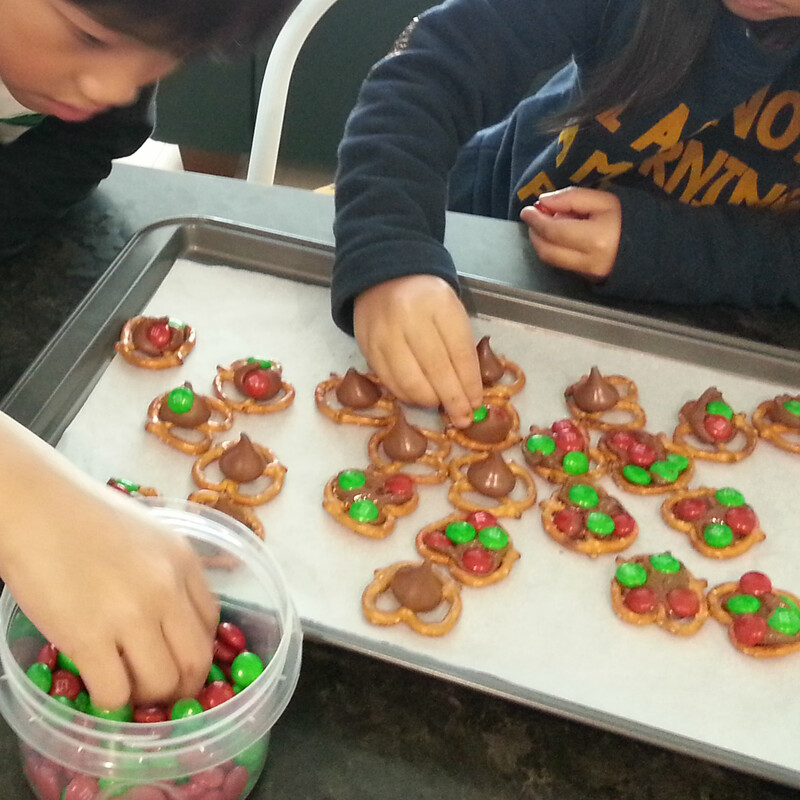 Oh my busy little hands on the Holidays - what a joy to see. Those look very yummy, definitely a chocolate overload! And I loved the pics of the Lantern Festival in your last post. I'm not christmassy at my place yet.... will get Isaac to help me decorate the tree next week, that should get me in the mood. An afterthought..... Have a quick look at my blog post about the Farm Equipment parade, there's a video there that you might like, just plug your ears!